If you are going to buy a security camera, you will have to make sure that you are actually getting the right one. Cameras can be expensive especially the high-end models. It is easy to buy the wrong one and waste your money on these purchases. What you have to understand is that advancement in both software and in camera technology have increased the number of options that you will have to consider. 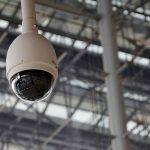 If you are a first-time security camera buyer, here are some things that you would want to consider. Do you want the camera to be discreet or do you want it to be a deterrent? 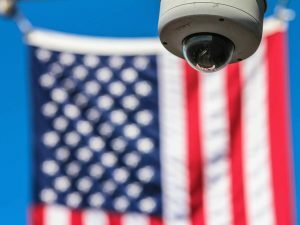 Two of the most common ways how security cameras are used today is either it functions as a visual deterrent or you hide the camera in plain sight in order to record everything as it unfolds? 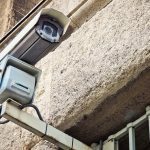 If you want to have a camera as a visual deterrent against crime, then perhaps, you want to consider its location where it is going to be visible to people. You may also want to consider having signs that declare that you have a camera recording everything. On the other hand, if you plan on having a discreet setup, you want to talk to an expert about this. You have to plan it carefully. In fact, you need to strategize what exactly you want to capture. You also have to make sure that you plan things how to make the camera look discreet. How exactly do you plan on hiding the camera? Is it for indoors or outdoors? There are two types of security cameras. There are those cameras that are for outdoors while there are those cameras that are meant for the indoors. The outdoor cameras can withstand changes in humidity and could even get wet. With its design, it is also important to note that it can record videos even during night time. As for the indoor security camera, you will have to consider that it can either pan or it is fixed. If you opt to have a fixed indoor camera, then you will have to take a closer look at the angle which the camera is installed. You have to consider the reality that there will also be blind spots that you will need to address. You will also have to assess the area that you want the camera to cover. This will give you an idea whether you will need to buy more than one camera or not. You also have to consider the best camera for a particular situation. For instance, if you plan on observing different individuals in an office setting, then you would want to have a security camera that can zoom in. On the other hand, if you simply want to see what’s happening in your property, there are instances when a dome camera will suffice. Buying a security camera can be tricky. You will have to consider different things. You need to understand that not all security camera are made the same.